projector or similar device for the purposes of education or training on the premises of an educational institution. Thankfully, those provisions are now gone and those responsible for them are doing other things or have retired. Mercifully, the Supreme Court of Canada was much smarter than these drafters and said that fair dealing is "always available" and must be given a "large and liberal interpretation" and we shouldn't have to look at these particular (and IMHO sometimes silly) little exceptions when the general provision in s. 29 is applicable. I am glad we never had to test what would happen if the janitor used a wet cloth to clean chalk off a blackboard after school (I may be dating myself) or whether computer projectors would be considered a "similar device" to the long obsolete "overhead projector". 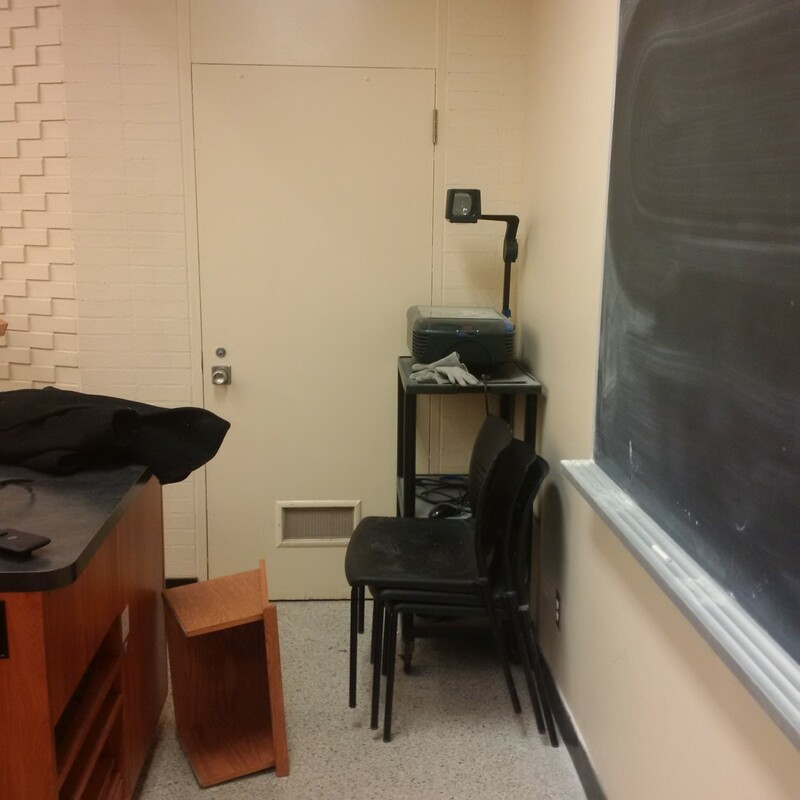 A copyright nerd from Queen's Law School has provided me with a recent picture that illustrates the ongoing presence of both the dry erase board and the overhead projector at that institution. Canadian Embassy IP Event in Washington on April 5, 2017: Where's the Canadian Content? This looks like an interesting and timely event with some high powered people. But where's the Canadian content?